Typically the term “Colossal” and “Jumbo” refers to the largest King Crab Leg sizes available. Typically these are in the 4/6 size, which means there are between 4 to 6 legs per pound. 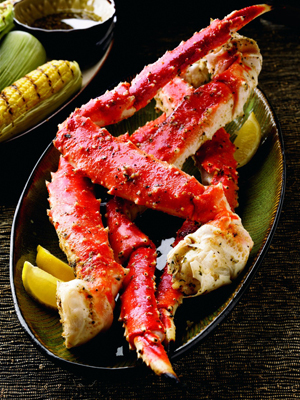 The truly Jumbo King Crab Legs are about a pound a leg, and that is just about as large as they come!